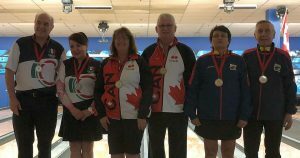 Senior Team USA swept the gold medals in trios in the 6th PABCON Senior Championships while Canada’s Jack Guay and Lauraine Fast claimed gold in mixed doubles in the 4th PABCON Super Senior Championships at Let’s Bowl in Calgary, Alberta, Canada, Wednesday. 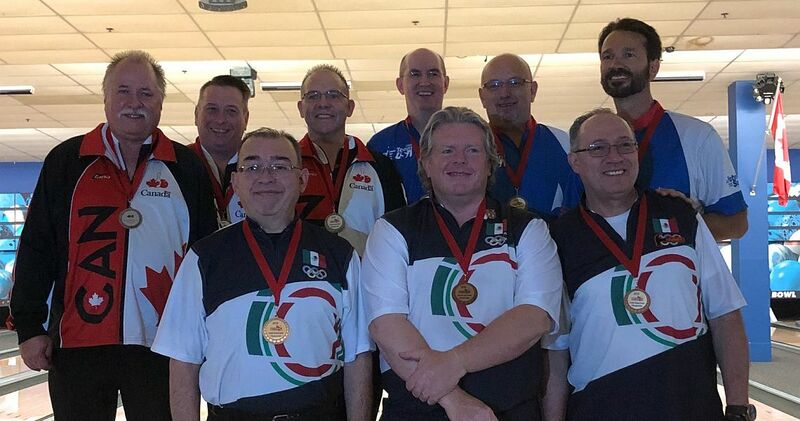 After sweeping the gold medals in doubles Tuesday, doubles champions Steve Badovinac and Warren Eales teamed with Lennie Boresch to win the third gold medal of this Championships in senior men’s trios (featured photo shows the podium) with 4135 total and an average of 229.72 as a team. 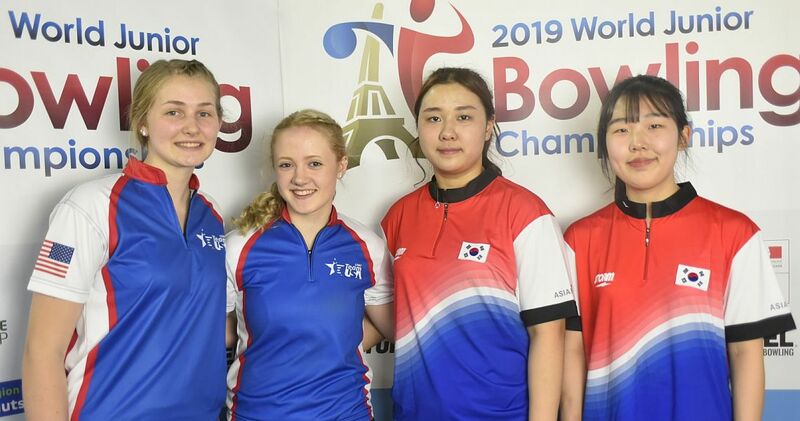 Boresch averaged 235.50 over six games for the field-best 1413 series, Badovinac added 1398 and Eales had 1324 to beat Canada for first place by 65 pins. Singles champion Joe Ciach joined forces with Ray Vervynck and John Chapman to earn silver with 4070. 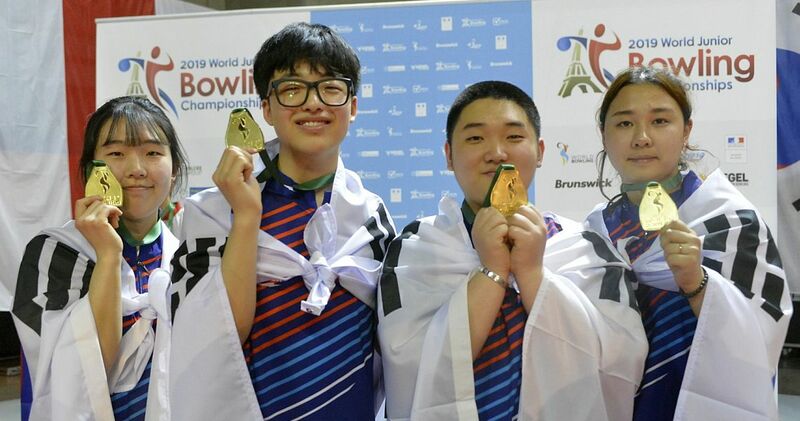 Manuel Garcia, Salvador Suarez and Alejandro Sanchez of Mexico were further 74 pins back in third place to take the bronze medal with 3996. 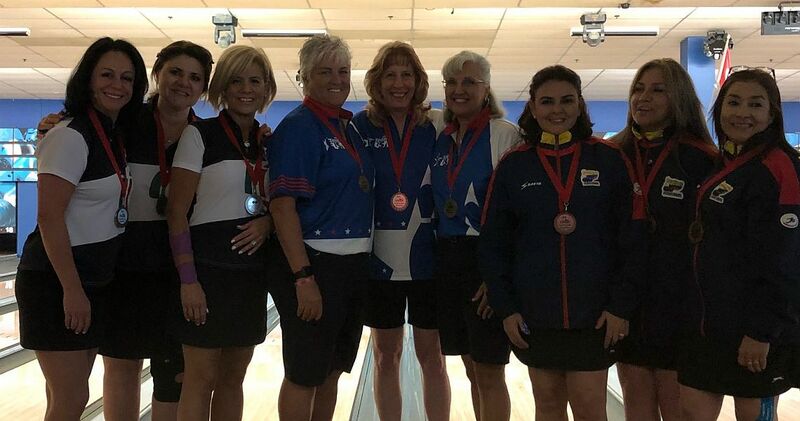 On the senior women’s side (pictured right), doubles champion Lucy Sandelin and silver medalists Tish Johnson and Sharon Powers averaged 211.78 as a team to win the fourth gold medal in this Championships for the United States with 3812 total. Powers led the way with 1347, Johnson had 1318 and Sandelin contributed 1147. 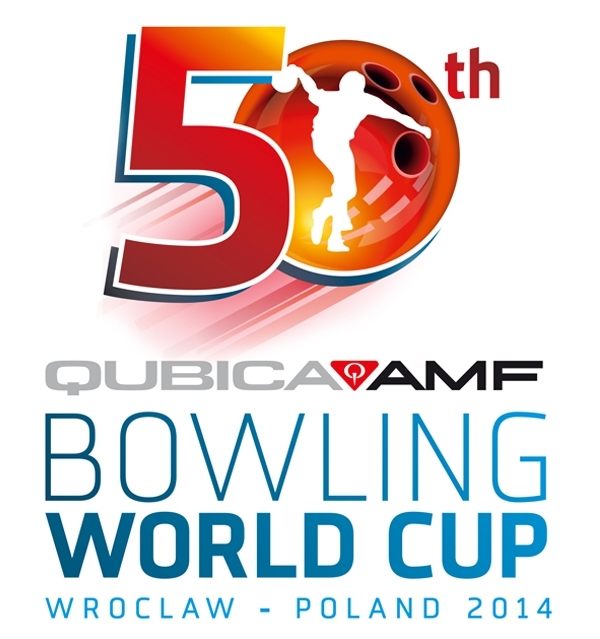 The Americans out averaged their nearest competitor by more than 10 pins. Veronica Berumen, Margarita Ramos and Teresa Piccini finished in second place to earn the silver medal with 3631. Colombia’s Gloria Arango, Martha Trujillo and Sandra Silva were further 185 pins back in third place to take the bronze medal with 3456. 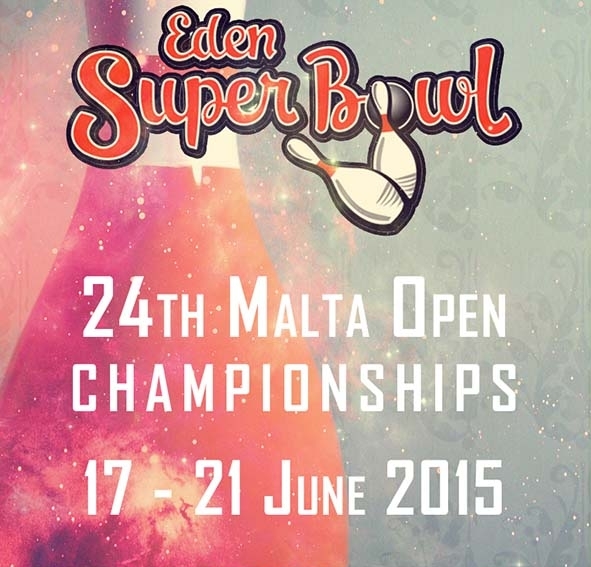 The super senior bowlers (age 60 and older) competed in mixed doubles (pictured left) as maximum two men and two women per country were allowed in this Championships. 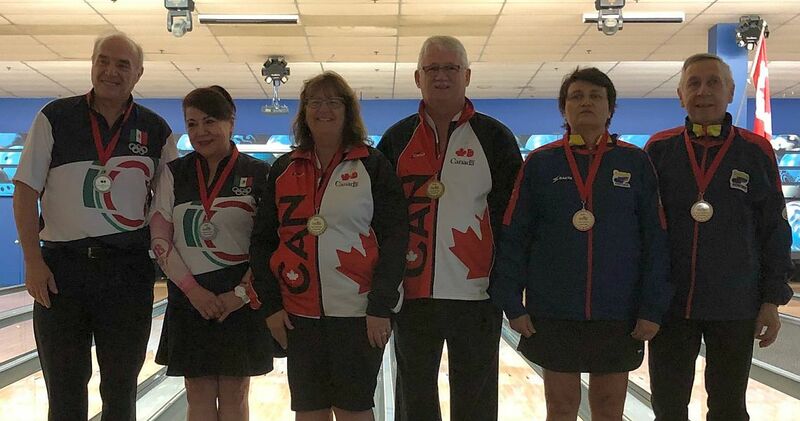 Senior women’s doubles champion Lauraine Fast teamed with singles and doubles silver medalists Jack Guay to win the fourth gold medal for Canada and the second in the super senior division with 2405 total and an average of 200.42 as a duo. Guay had the second-highest individual series of 1258 and Fast added 1147. 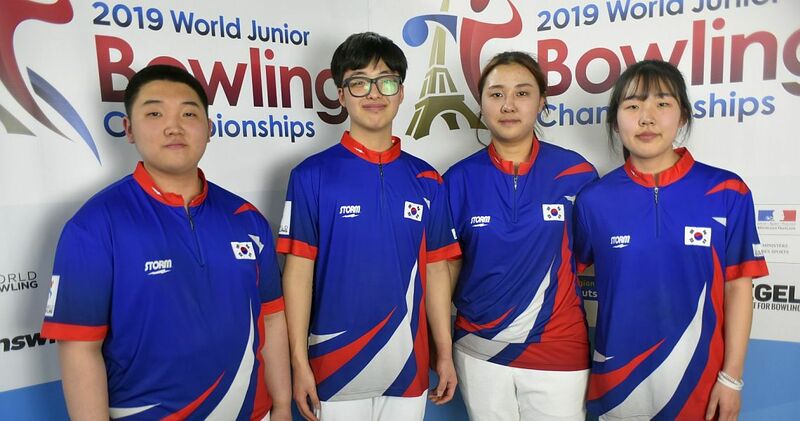 Men’s super senior singles and doubles gold medalists Alfonso Rodriguez and Gloria Carrera took the silver medal with distant 2247, despite the field-best 1303 series by Rodriguez. 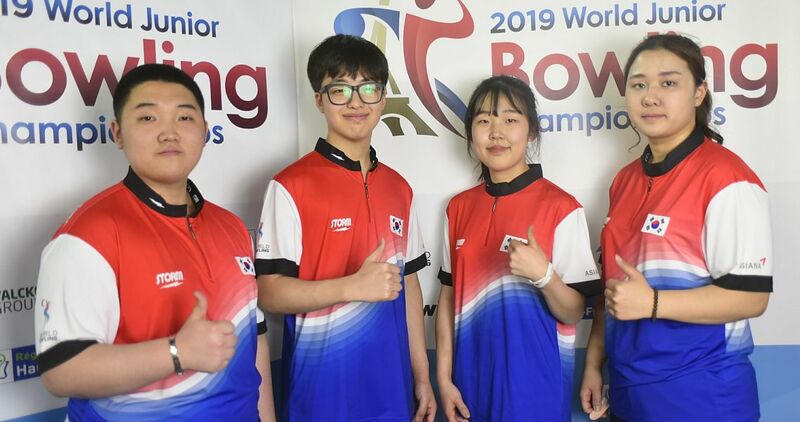 Fernando Morales and Ruth Vasquez finished third with 2217 to earn the bronze medal, the first medal for Colombia in the super senior division at this Championships. 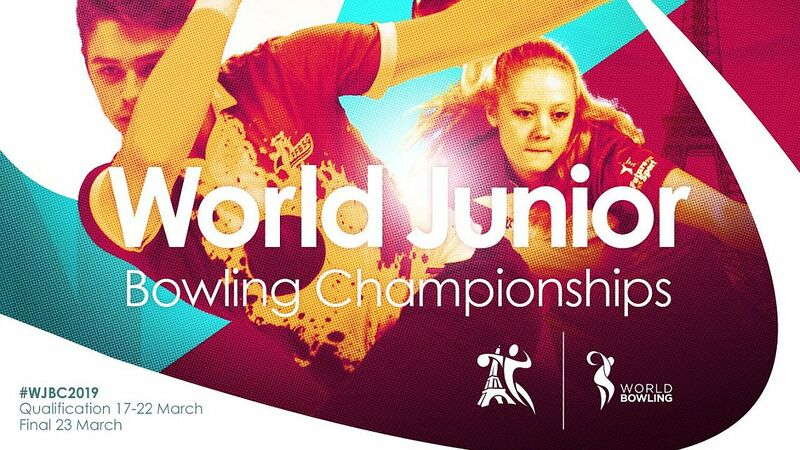 The Championships will continue Thursday with the men’s and women’s team event in the senior division and the mixed team event in the super senior division. 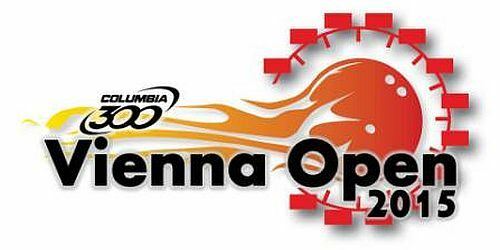 The team events will also decide the medals in all-events and the top 16 men and women in the senior division and the top 8 men and women in the super senior division, who will advance to masters match play, which will conclude the Championship on Friday, August 24.